Ospreys are one of our best known and best loved birds and the name Roy Dennis is not only synonymous with the successful return of the osprey to Scotland, but is also renowned for his international work with a variety of species. From the time he saw his first osprey, back in 1960, Roy has worked to help this magnificent raptor establish itself once more in a country where it had been hounded and persecuted to near-extinction over hundreds of years. This book tells the story not only of the osprey, but of the osprey watcher, following the bird's fortunes in Scotland, seeing its numbers rise from that single pair in the 1950s to close to 200 pairs today. From a look at its history in Scotland and the rest of the UK including the bad old days of egg thieves and the shooting of birds as specimens, it moves to the present day, with satellite radios allowing us to follow the every move of the osprey on its migration to Africa and back. Roy has pioneered the building of artificial nests for ospreys, which had been instrumental in increasing their numbers and range, as well as starting the first European trans-location taking chicks from their nests in the Highlands and releasing them at Rutland Water Nature Reserve in the Midlands. 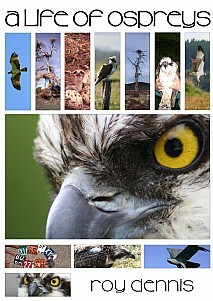 The book also covers the ecology of the osprey with many personal anecdotes and insights. Diary entries give a more immediate feel to the chapters, and the worldwide distribution of ospreys is enlivened by that sense of immediacy. Roy's writings, at a time when no one knew whether or not his lifetime's work would succeed, add a sense of history to this personal tale. Sure to be of immense appeal to all birdwatchers and anyone with an interest in and appreciation of wildlife, the natural world and conservation.